More features than any other website builder available at no extra charge. Check out these important features that any business website needs. How much will these cost you? Thousands Of Dollars Of Vital Website Features Included Free With Every Site! Tell your visitors who you are and why they should do business with you. Promote online sales or drive online traffic to your offline store with website coupons. Communicate with your visitors, customers, staff and friends with full featured message boards. Always know what your customers are thinking with your own custom online polls. Give your visitors a place to share their comments about your site with this great guest book feature. Publish and share good news in one central organized area. This is a favorite of the media! Show off the great things your customers have to say about you. Give new customers a reason to buy. You can have virtually any other web page you need added to your site with the easy to use layouts. Your siteâ€™s transactions are secure and protected with secure certificates that protect customer info. Choose between a variety of layouts and change or update your pages anytime using a simple Word-style editor. Easily showcase your photos. Your photos are shown in thumbnail form and when clicked on show the photo in full size with optional title and description. Collect visitor feedback, collect testimonials privately or generate ideas for your company or organization. List the people in your organization along with their name, position/department, email and any other info you think is important. You can collect comments about your site with this page. It's an easy way to get customer testimonials. Make it easy for visitors to refer others to your website with this "refer a friend" tool. Message boards are great for discussing different topics, keeping customers up-to-date. Perfect for developing a membership area. Keep in contact with your customers by email. Broadcast notices or newsletters to all your subscribers at the click of a button. Once you create a newsletter, it is automatically archived for future reference. Save time on customer support. An FAQ page that answers customers most common questions gives them immediate satisfaction and saves you hours on the phone repeating the same information. You can link your site to pages outside your site right from your index. This is helpful when you wish to link to your company's parent site, a related site or an affiliate program. Entice customers to your physical store. Create coupons that your visitors can print out and bring to your store. Enter your address and a link to a map is automatically generated which you can post right on your page. Display testimonials from your customers or showcase your favourite quotes or poems on your page. Display your business hours conveniently for your customers' reference. You can publish press releases that will be automatically formatted on the page. Great for company announcements. Sell products and services directly from your site. Your products are listed as thumbnails and/or links that can be clicked on to show more details and your cart buttons. Collect payments electronically from your site. You can also add taxes and shipping and handling to your order subtotals. You can use a variety of payment processors including PayPal. Instil confidence in buyers with our VeriSign Secure Certified cart. Your customers can purchase your products worry-free. Your cart displays your VeriSign Logo on the checkout pages and you save $500 by not having to buy your own secure certificate. Choose from over 1,500 pre-formatted templates to find a professional look that suits your business. You don't need to know anything about html programming. Just click a button and your entire website is updated instantly. You can change your template anytime at the click of a button or customize the look of your website with your own images, color choices and more. Take a look at what's possible. Your site comes with 5 emails that reflect your web address. Add additional emails for just $1 each so that each staff member has their own email. You get access to over 2000 stock photos that you can use to enhance your site. You get a FREE domain name in the format name.HereToHelpYou.biz. 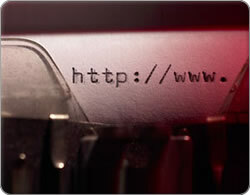 However, you can easily set up your own domain name (e.g. yourname.com) for your site. You have a great looking site, now, how do you get people to visit it? Or Click Here now to start your FREE "Website Builder" 10-day trial WITHOUT registering for access to the e-Marketing Club. © 2019 Here To Help You Inc. - All rights reserved.